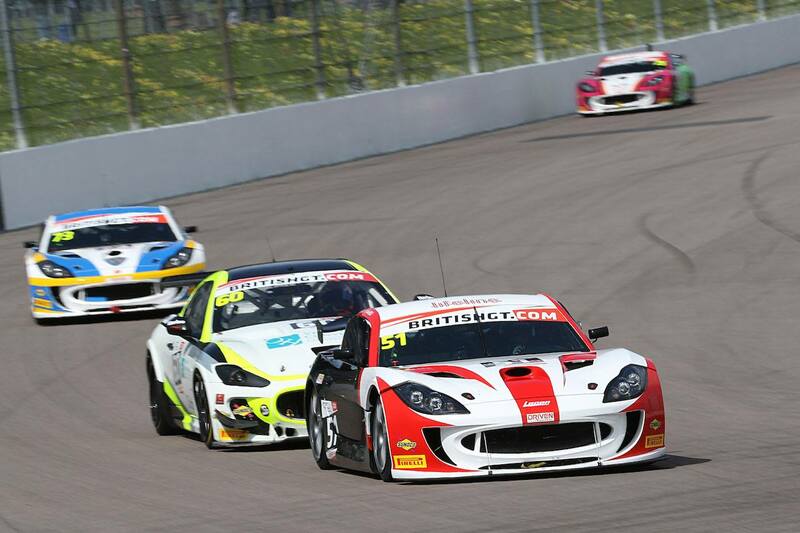 Joey Foster and Alex Reed secured their first British GT podium at Rockingham Motor Speedway in round two of the 2016 season. It was a successful debut for their brand new Ginetta G55 GT4, coming through from 12th on the grid despite a sheared anti-roll bar. Foster, who set the fourth-fastest qualifying time, lapped impressively to move the Ginetta to the edge of the top six by the pit window. Staying out when the rest of the field pitted meant he assumed the class lead. Reed took over around the hour mark and resumed inside the top six. He managed to avoid the many troubles that hit those around him to claim fifth place at the flag. The duo were promoted to the podium after the race when the winning Ginetta was excluded along with the similar fourth-placed G55. The result moves the team up to fourth in the GT4 Teams' Championship, with Foster and Reed in joint third in the GT4 Silver Cup. Oulton Park hosts British GT and Lanan Racing next on May 28-30. For more information email graham@lananracing.com or call 07970 685498.